There are many disability attorneys in the North Carolina area that are able to help you begin the process of filing for disability. You want to make sure that you are using a law firm that has your best interests at heart. Law firms serving the Fayetteville are available to provide information that will allow you to determine if you are eligible for disability and assist you in beginning the disability claim filing process. A professional Fayetteville disability lawyer that is board-certified is more than capable of providing you with all of the knowledge and assistance you need concerning your disability case. When a client contacts an experienced and professional disability law firm, they are one step closer to finding answers concerning a SSD claim. Whether they are calling to obtain more information, calling for a free case review, or actually ready to hire the firm, they are in the hands of professionals ready to help them fight for their right to disability benefits. Although filing is a quick enough process, the wait to find out whether you have been approved or denied can take months. If you are confused regarding the SSD application and appeals process, caring law firms can help explain the process and give you information to help improve your disability case. Disability attorneys that have a great compassion for clients caught in a financial trap due to disability can provide competent and specialized service and become NC Board Certified Specialists. A NC Board Certified Social Security Disability Law specialist has to have had extensive experience in handling Social Security disability cases during five consecutive years. Also, a NC SSD law specialist must take seminars and continuing legal education, as well as pass a written exam, and must be reviewed favorably by other lawyers in their area of specialty. 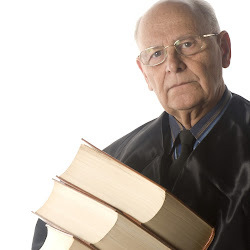 Attorneys that limit their practice to Social Security disability law are more likely to understand current Social Security rules and regulations and be able to provide excellent service to their clients. Disabled people need attorneys that are committed to helping them receive the benefits that will help support their families as well as themselves. In North Carolina you can find a Fayetteville disability lawyer to handle your disability case. Board Certified Social Security Disability Law Specialist Vaughn Clauson and his staff at The Clauson Law Firm, PLLC are ready to provide you with specialized service. Copyright © 2010-2019 Legal Service Centre | All Rights Reserved.